I’m the worst-qualified person in the world to write a piece on camping with kids. For me, it’s not a holiday if there’s not an en suite, fresh towels, climate control and somewhere to plug a kettle in. But let’s face it, kids love to camp. And one day I will be forced to give in, get down to Millets and do it. When that time comes, I’ll be straight on the phone to The Trunki Files‘ camping expert, Glastonbury veteran and father-of-two, Simon Wakinshaw. 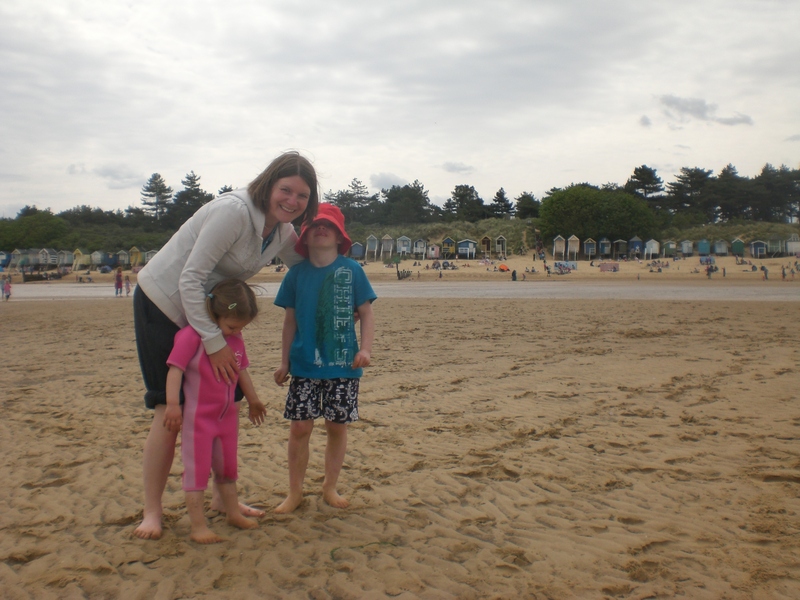 Here he talks about his recent half-term trip to beautiful North Norfolk with wife Lynne, Nathan (5) and Ellie (2), offering top tips for anyone thinking of braving the summer under canvas. For some people, not least our very own editor, the thought of heading out into the countryside with only a canvas roof separating them from the elements can be too much. Throw a couple of young children into the mix and most people start to give you a wide berth! What’s easily overlooked, however, are the simple pleasures that a camping holiday can bring: waking up to a wonderful view on your doorstep; breakfast al fresco; cups of tea (tea which for, one reason or another, tastes so much better outdoors than in); watching each sun set and sharing a bottle of wine under the stars. Camping is all about going back to basics, living away from the creature comforts of the modern world and sharing a family experience that is unique from any other holiday. Our own family camping experiences got off to somewhat of a chequered start. We first took our son Nathan to a local campsite near Epping Forest at the age of one. The first morning he woke with a fever and before we knew it, we were packed and headed for home. Fortunately he was suffering no more than a reaction to a jab he had had earlier in the week and was soon back to his old self. On arrival at the farm that was to be the site of our second trip, our two year old daughter Ellie, upon surveying the field that we were to pitch up in, refused to get out of the car and demanded to go home. But we persevered and deep down we knew that we could make a camping trip work for us all. More than that, we knew that these were trips that the kids would remember for the rest of their lives. The simple truth is, kids love camping. Running around the fields and forests, making friends and playing out until dark; the whole family together, all living in what, to them, must resemble a large playhouse! 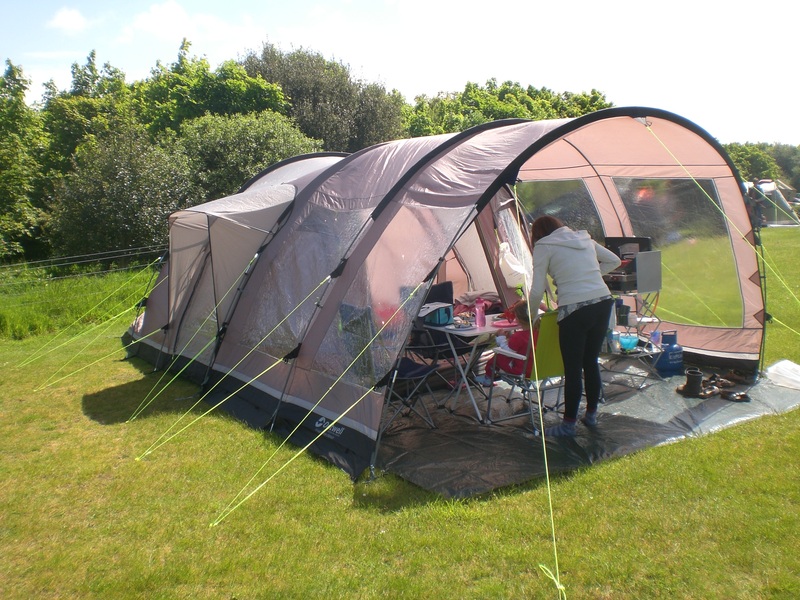 A camping holiday also offers a chance to get away without breaking the bank. In an age where we are paying more and more to go away as a family during the school holidays, most campsites will charge around £20 per night, meaning a half term trip can cost as little as £100. This year, we spent 5 nights at Manor Farm, a small mixed sheep farm set in 18 acres of Norfolk countryside with stunning views over the town of Cromer and out into the North Sea. The farm has three separate fields catering for tents, caravans and motor homes. We chose to pitch in Marl Pit, a large field divided by a row of trees and surrounded by hedges and woodland. The field has a number of serviced pitches if you require an electric hook up, or like we chose a large area of unreserved pitches where you can take your pick. On site, there were two play areas for the kids, a football pitch and plenty of room to fly kites in the sea breeze. A footpath winds downhill towards the cliffs of Cromer, where a beach of sand and rock pools awaits, lined with old fashioned coloured beach huts. Within easy reach by car is the town of Sheringham, and further along the coast is Blakeney Point Nature Reserve where you can take boat trips from the harbour to see the grey seals. A few more minutes in the car takes you to the picturesque town of Wells-next-the-Sea and the beach at Holkham Bay. Tents today come in all shapes and sizes; gone are the rigid ‘A frames’ of yesteryear replaced by a vast array of dome and tunnel tents. We chose a tunnel tent with a sewn in ground sheet and two sleep pods that can become one large bedroom, should we wish. The kids love to sleep together in their bedroom, whiling away the night gossiping to each other, much to our amusement sat outside. No need for baby monitors when the walls are this thin! Outside, we have a covered extension where we can cook and eat without feeling the full force of the elements, should it be hot and sunny, wet or windy. A double hob gas cooker provides all we need to feed the family for the week and a range of cool bags and freezer packs provide the refrigeration. Most camp sites provide facility to freeze your packs or alternatively, you can choose a serviced pitch and take along an electric cool box. We have seen families who have brought along a full sized fridge although to me, this defeats the object of camping and making do with limited resource. Experience of particularly wet music festivals has taught us that the choosing the right pitch is crucial. Avoid hollows or the lowest corner of a field and always pitch uphill from the toilet block! Make sure the ground is level and flat or you will have food and drink sliding from the table all week and you will wake up each morning on the floor. It helps to pitch near to the play areas or at least near an open space so the kids can kick a ball around without disturbing the neighbours. Arrive on site with plenty of time in hand to set up camp and get food in before night falls. I’ve had the experience once of pitching a tent by the light of car headlights and it is not an easy task! As I said at the beginning, camping isn’t for everyone and sometimes the holiday doesn’t quite go as planned but that is all part of the fun. 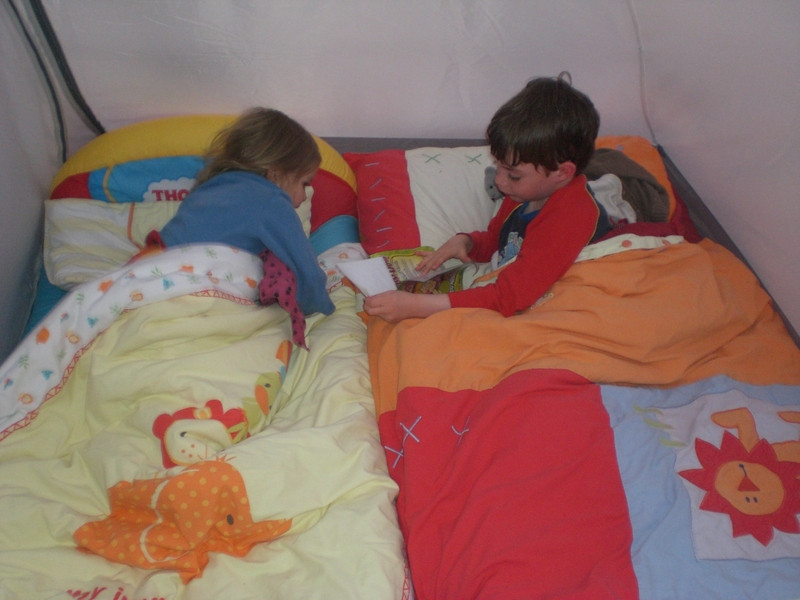 The weather can play a big part in how you enjoy your trip and its best when camping with young children to be armed with a list of indoor options. Do your research into play centres, swimming pools and other local attractions. Even if you think you won’t enjoy camping I would suggest giving it a go and see what happens, what’s the worst that can happen? 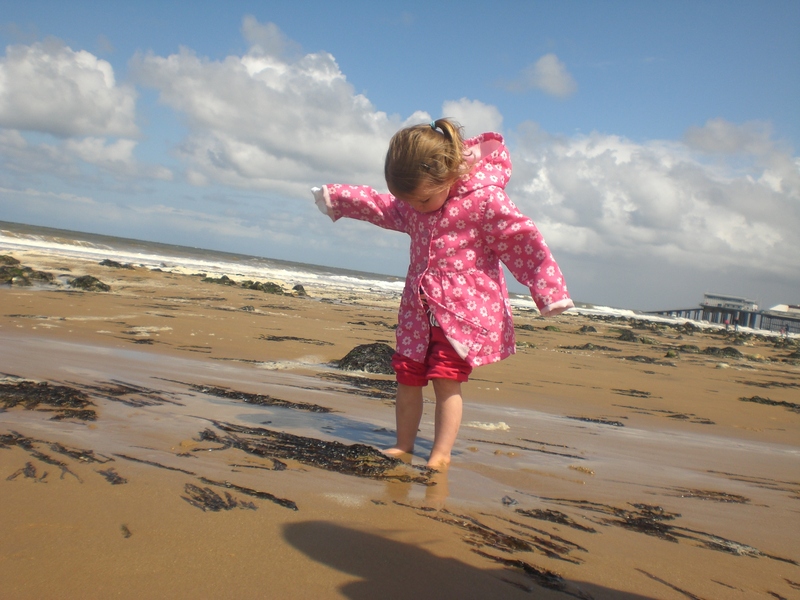 This entry was posted in Tips & ideas and tagged camping, family holidays, Norfolk, tent, UK. Bookmark the permalink.